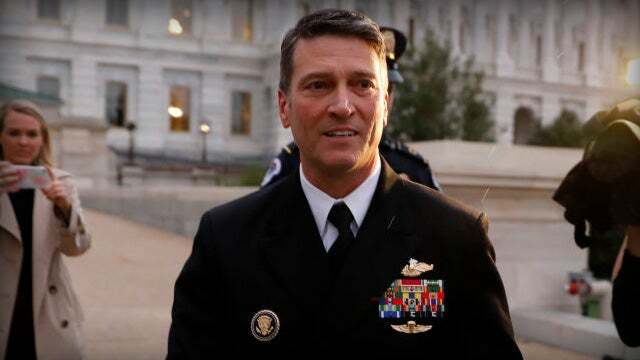 RUSH: Poor Ronny Jackson. Democrats have destroyed him. The guy serves in government, serves in the White House working for Obama for 10 years. All of a sudden Trump names him to be the head of the Veterans Administration, and look at all of the aberrant, sick, perverted behavior this guy’s been engaging in for all of these years that either nobody cared to report or nobody knew. Jackson says it’s not true; they’re making it all up. He grew tired of it, wanted to pull out. There might have been some White House pressure to pull out. Trump went ballistic, ripping into Democrats for making this happen. The guy did work for Obama. He was Obama’s White House doctor while supposedly driving drunk and wrecking cars and passing out prescriptions to anybody who wanted ’em, stuff that you just do not think would ever be tolerated in a White House. It seems like everything’s breaking down here, and people don’t care what they destroy in the process. And what they’re destroying is pretty damned important, and that’s our justice system. RUSH: Well, okay. Mike Pompeo has just been confirmed by the Senate as the secretary of state. Vote was 57 to 42.